Several of you know by now how much I have been hammering on on the boring subject of keeping a food diary, but I do this with good reason. It is an essential tool to get you further, faster! There are many ways to go about finding out what the real problem is. You can do tests. You can try different diets that you come across and see what happens (not really advisable, as this can be compared to shooting blindfold). Or you can do something as crazy as stop eating altogether or reducing your diet to a minimum – which is as useful as trying to find out what’s wrong with your car by cutting off its fuel supply. So now that we’ve established that these couple of options are less desirable, let’s see what the food diary can do for you. 1. You can use it to help your doctor do more targeted testing, which may just be a shortcut for you and reduce your visits. 2. You can save a lot of time and money and nerves on testing you may never have needed to do in the first place. 3. You can be systematic in finding out what the repeat offenders are. 4. 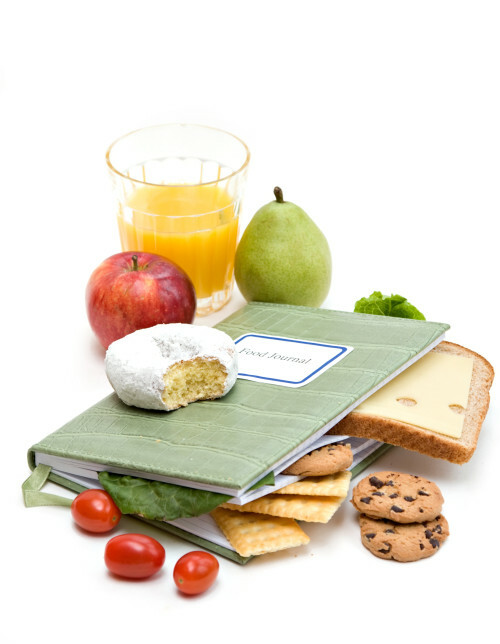 You can expand your diet, following the elimination diet of 4-6 weeks, by re-introducing single foods and noting them down, and monitoring whether you have any reactions or not. 5. You can avoid going on diets that are no use to you at all. 6. You can avoid going on a diet that may even be harmful because it is exactly the opposite of what you are supposed to do. 7. You can eliminate the fear by being systematic and concentrating on a way forward rather than running round in circles. 8. You can learn to listen to your body and very gradually compare its reactions with the food diary. This helps you apply more logic to why you have which symptoms and when. 9. If you have multiple intolerances, you can gradually start to see the picture of what symptoms belong to which of the intolerances you have. 10. You can help your registered dietician make sense of it all. They can’t feel what you feel and they can’t be with you 24 hours a day, so help them to help you. This is down to teamwork! Let us know what positive results keeping a food diary have had for you, and drop the message into the comments section below. Have a look at the food diary section on this website here!